Control Valves On Ogontz Corp. 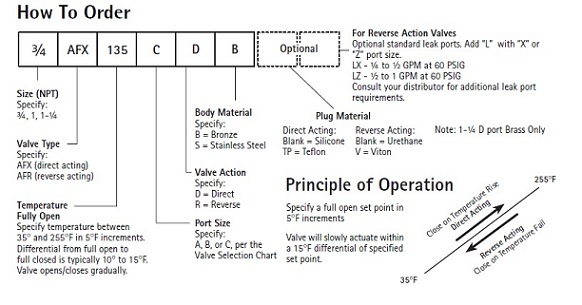 Note: Valve will slowly actuate within a 15°F differential of factory calibrated specified stepoint. Note: Specify temperature between 35° and 255°F in 5°F increments. Differential from full open to full closed is typically 10° to 15°F. Valve opens/closes gradually.